Our mission is to provide the highest quality product and value to our customers. As we endeavor to meet or exceed our customer expectation. Quality is our top priority at Hillcrest Forge. With a combined experience of more then 50 years, we know what quality is and define that quality in all of our work. Every piece we produce is gone over numerous times through the production process to assure that the end result is to the highest quality possible. When you stop in ask us to define that quality to you, and we will be happy to show you what it really means. In 1979, Emmert Anderson founded Hillcrest Forge, Inc. In 1987, Craig Thilges joined him. After a year, Emmert and Craig became business partners until 1998. In 1998, Craig Thilges took over the business. In 2008, Gary French joined Craig Thilges, becoming a major part of the business. In 2017, Gary French acquired business. 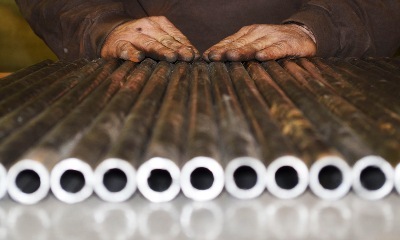 You, as a customer, are able to come to us for your steel supply needs. Steel of all shapes and sizes including stainless and aluminum. Our powder coating is done by Accurate Coats of Milford, Iowa or Valley Industrial Powder Coating in Rock Valley, Iowa. They provide us with a large variety of different colors to match interior and exterior colors. 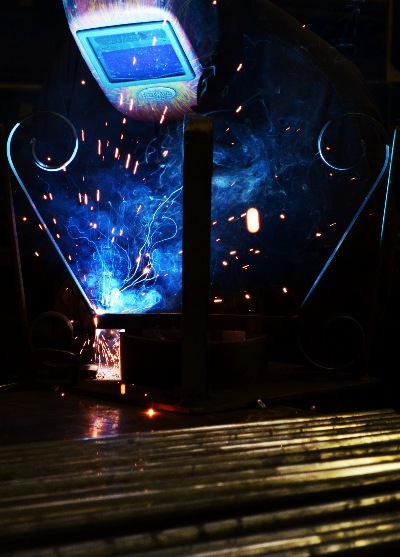 The quality of workmanship with their powder coating process represents the workmanship that we do at Hillcrest Forge. The first step of the powder coating process is loading all the metal onto racks to begin the painting. After all the metal has been prepared and cleaned, the metal then goes through the spray booth. The metal is being sprayed with a magnetized paint that will adhere to the metal as it goes through the oven. After the paint has been applied the metal goes through an industrial sized oven that is set at 450 degrees. After the metal has gone through the oven, it begins to go through a series of fans to cool down. After the cooling down process, the metal is ready to handle and be loaded up to take back to the shop. After all our pieces have been powder coated, they are then ready for installation in your home or garden.